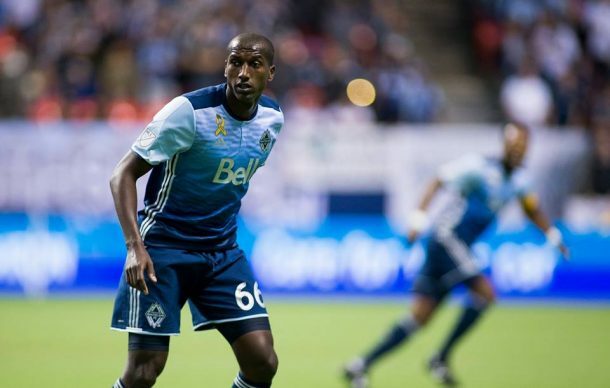 Vancouver Whitecaps midfielder Aly Ghazal spoke on his move to China and to the US, and why he is not playing for the national team. The 25-year-old joined Chinese Super League side Guizhou Zhicheng from Portuguese club CD Nacional during the 2017 January transfer window before quickly departing to Canada to join MLS side Vancouver Whitecaps. “Nacional Madeira wanted to benefit financially from the sale of some players, and I had a strong offer from China, which was a valuable opportunity for me and the club,” said Ghazal. “Chinese sides tend to have other goals than just football. Every year they are interested in adding a new star and these stars only last for a season or two at the most,” he added. Ghazal was only at the Chinese side for a short period, before mutually terminating his contract in July. He soon moved to the MLS, joining Canadian side Vancouver Whitecaps. In the latter part of their season, Ghazal helped his side reach the playoffs. The Egyptian midfielder, who have five appearances with the Pharaohs under Shawky Gharib in 2014, is still hopeful he can rejoin the Egyptian national team. “I’ve been excluded [during the 2015 Africa Cup of Nations qualifiers] because I did not play for Al Ahly or Zamalek back then. After my exclusion, the team lost to Tunisia and Senegal in Cairo, although the team included Al Ahly and Zamalek players and others who play abroad, which confirms that I was not the problem,” Ghazal added.